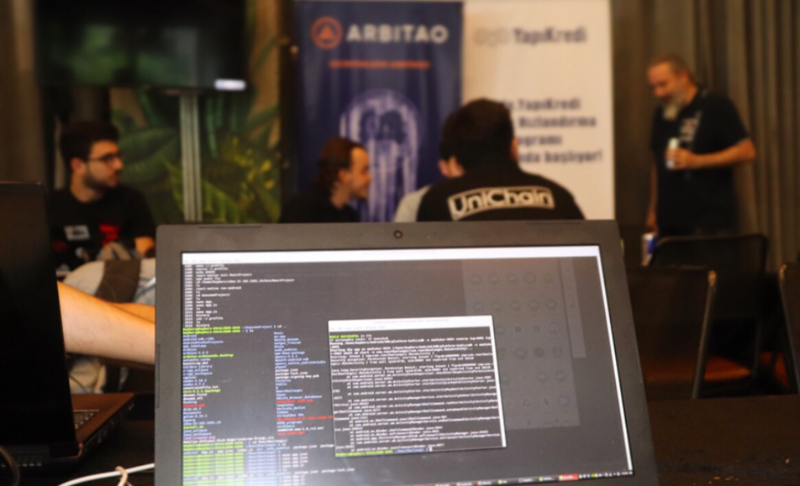 We are glad to announce that we successfully implemented the two-factor authentication (2FA) process in our platform, adding an extra layer of security for Arbitao’s community members. This is one of many efforts our team is putting into making sure your profits stay where they belong: with you. If you don’t know what 2FA is, here’s a brief explanation. Multi-factor authentication is the process of verifying one’s identity through two or more evidences that an account truly belongs to this person. The access is authorized only when the presented factors match the ones set up by the owner of the identity or the ones he has access to. There are three kinds of mechanisms that can be combined, based on: 1. something the user knows (e.g, password); 2. something the user has (e.g., phone) 3. something the user is (e.g., fingerprint). This process drastically reduces the incidence of online fraud and identity theft because it doesn’t rely only on passwords, which can be easily stolen. 2FA is the most used method, in which two of these kinds of evidence are required. In our method, we confirm user’s identity by combining their personal password to a dynamic token generated automatically by the app Google Authenticator, available for iOS (https://search.itunes.apple.com/WebObjects/MZContentLink.woa/wa/link?mt=8&amp;path=apps/googleauthenticator) and Android (https://play.google.com/store/apps/details?id=com.google.android.apps.authenticator2). Make your account safer now. If you have any doubt, please reach us. Click https://www.arbitao.com/ru/register to register and get started. 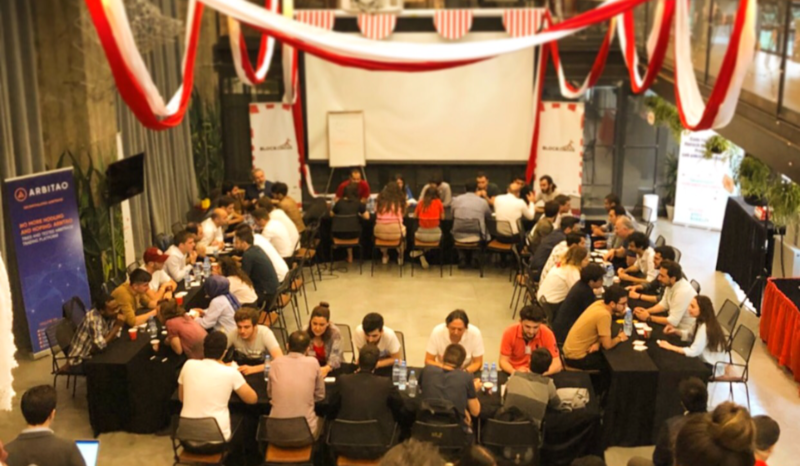 If Throwback Thursday is supposed to remember great times, let’s go back three months ago: from [b]June 29th to July 21th[/b], our turkish Community Manager, Ali Barış Aktaş, represented Arbitao at BlockCircus – self-declared “the most entertaining blockchain hackathon” –, which took place in Istanbul. 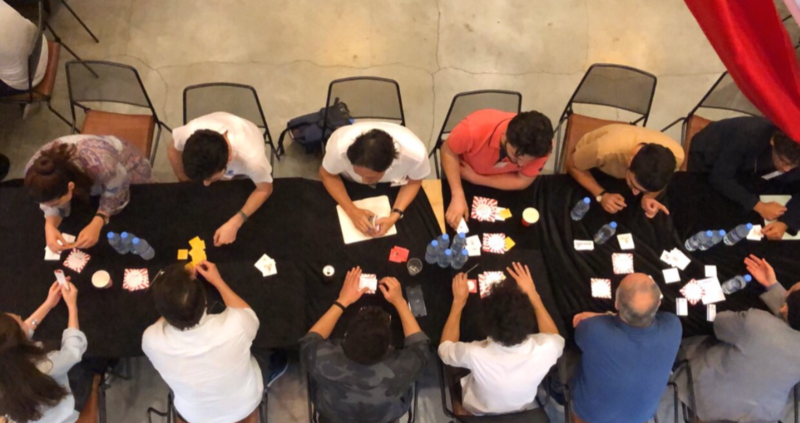 Participants were challenged to learn about blockchain and build entertainment applications on it – the three best ones, judged by specialists, won not only a cash prize and rewards from sponsors, such as YapiKredi, IBM, Red Bull and Uber, but also mentorship. Those three days were dedicated to imagine, discuss, design, build and, of course, enjoy. Beyond competition, the event was a space for networking, learning from experts and finding solutions for real problems. 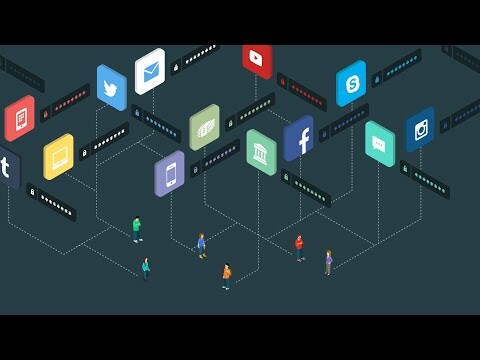 It gave people with no prior experience on blockchain a chance to easily enter this world – much like our platform does through a accessible, easy to use solution. Such initiatives are paving the way for mainstream adoption and we are glad to be part of it. 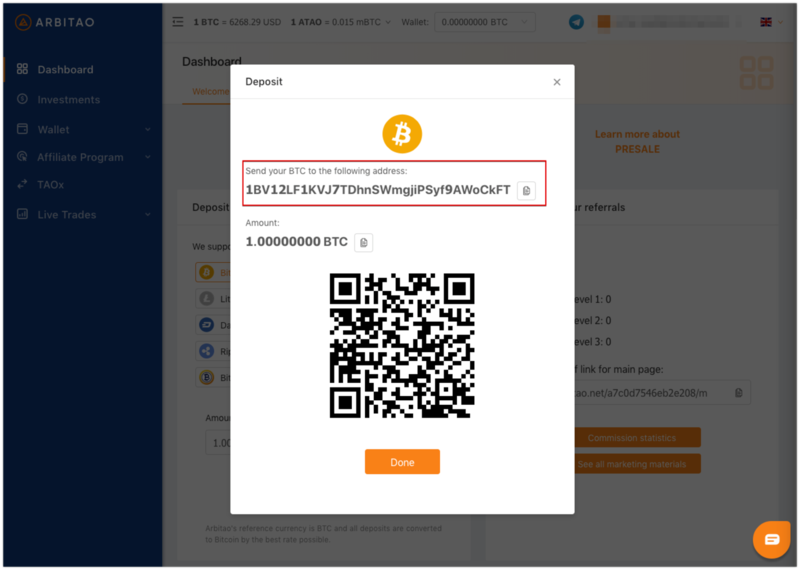 Today we would like to share the instruction on buying Bitcoin using your VISA or MasterCard credit card. It is quite easy to do. Let’s get going. 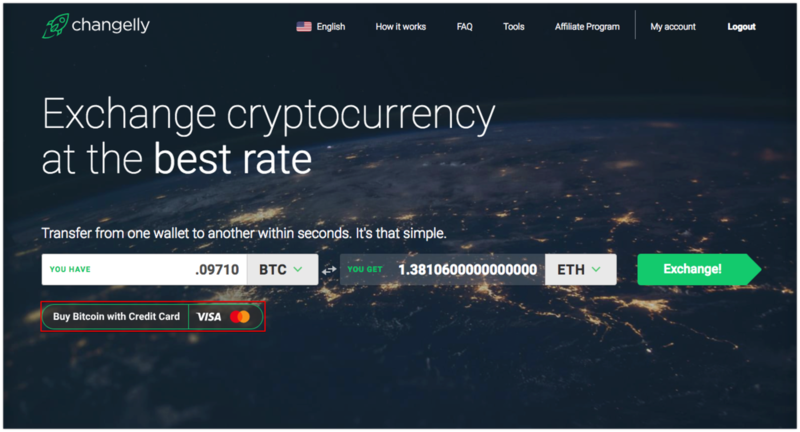 To purchase Bitcoin using your credit card, you need to go to the exchange website changelly.com. On the main page of the site, click the button “Buy Bitcoin with credit card”, after this you will be redirected to another page. After going to the page of buying Bitcoin, you can choose the currency USDEUR and the amount of Bitcoin you want to buy. Entering the amount in the right line, you will see the amount of Bitcoin that you will get in the left line. Then on the bottom line you need to enter the address of your wallet, to which you want to receive the cryptocurrency. After entering all the data, click the “Continue” button. If you are planing to send the amount of Bitcoin you just purchased to Arbitao.com you have to insert your Arbitao Bitcoin wallet address. Where can I find my Arbitao Bitcoin wallet? After signing up on Arbitao.com you will be directed to the Arbitao Dashboard. 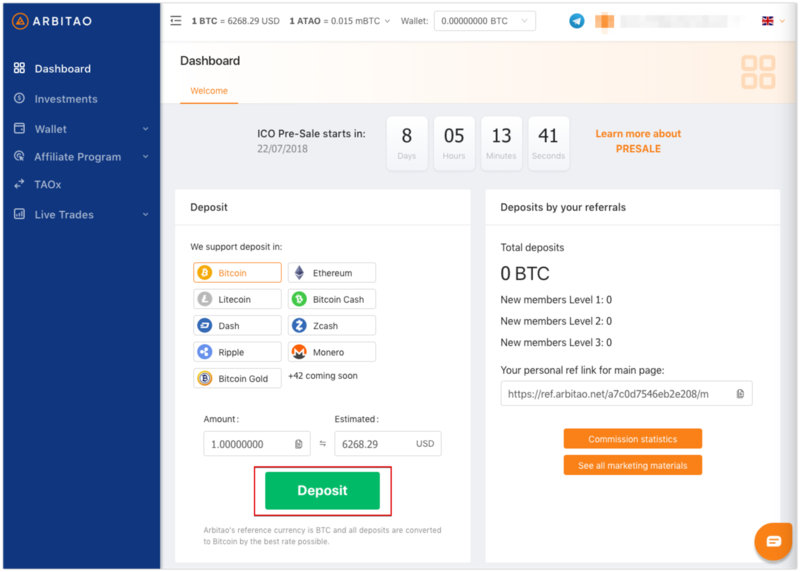 In the Dashboard you will find a „Deposit“ button. After clicking that button you will find your Bitcoin wallet address. After clicking the button you will be redirected to the page where you need to enter your personal and billing information. After filling all fields, click the “Continue” button. The next step is to verify your email address and phone number that you entered earlier. Go to your email and click on the activation link in the email. Then enter the 4-digit code that came to you in sms and click “Verify.” And after verifying the mail and phone number, click “Continue”.